I actually survived reading no Outlander books the entire year!! (I’m not going to say how many times I watched the Outlander TV episodes. Or what percentage of my Facebook news feed is Outlander. Or that I plan to reread AT LEAST the first three books before season 2 begins in April.) Oops, I did read Finding Fraser (review here), about an Outlander-obsessed fan. And parts of The Outlandish Companion, Volume 2, but that’s more like research, right? What were my favorite reads in 2015? I’ll let you know (spoiler free!) after the jump. I’ll begin with two books that I consider literary masterpieces. They aren’t merely great stories. 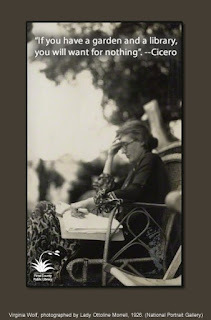 They aren’t even “merely” Literature with a capital L. Each is a tour de force, crafted with singular visionary skill, that transcends the usual boundaries of a novel, is far more than the sum of its parts, and is no less than stunning. IMHO, these books are akin to the Art with a capital A of Renaissance Masters, begotten with pens and language instead of brushes and paints. If there were a Louvre for Literature, these books would be prominently displayed. The story is set on the west coast of the south island of New Zealand, during the mid-1800s gold rush. 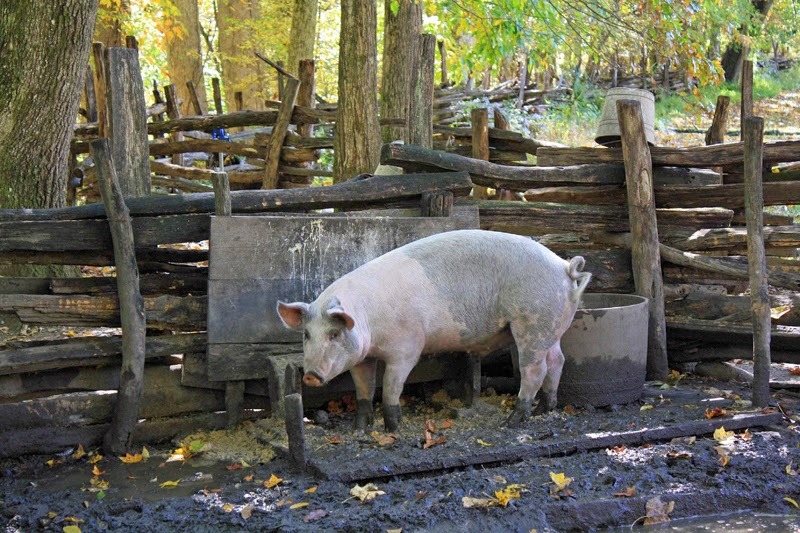 There are a lot of people with their own agendas, most of which involve getting rich quickly by striking gold, stealing gold, or supplying (or snake-oiling) the gold prospectors. This book won the 2013 Mann Booker prize, and though the mesmerizing prose surely is award worthy, and the deft weaving of its multitude of characters and legion of storylines, the ingenious structure might have been the deciding factor. The shape and form of the book made certain kinds of editorial suggestions not only mathematically impossible, but even more egregious, astrologically impossible. This book spends a lot of time introducing a central group of characters and setting up elaborate story lines, and that’s why it takes a while to get hooked. But it’s all part of the clever structure; the pacing picks up considerably as the novel continues. Someone could write a dissertation on the structure of this book, but it can’t be me, so I’ll quote snippets from an online review, which you can read in its entirety here. The Character Chart at the very start of the novel divides the characters into Stellar and Planetary groups — they represent the stars and planets, which astrology claims influence human lives. The Stellar characters are more distant from the action: they narrate the story, gossiping and speculating about the Planetary characters who are more actively involved in the crimes and passions of the story. The structure became a little distracting at the end, as the chapters shrank in length, but it worked so well that I consider it just part of the whole glorious reading experience. My anxiety ramped up as the final pieces fell into place, and the last sentence left me speechless. BOOM. Not so much for the importance of the reveal, though it was impressive, as for the scope and breadth of this achievement. I just sat there marveling at what I’d read: the remarkably fluid and nuanced writing, the unique way in which she told her story, her ability to maintain control of and neatly tie off the innumerable threads in her story, and the tightly controlled structure. I’m first and foremost a fan of well developed characters and well written stories, but when an author can integrate an innovative concept that transforms those into something greater, it’s just that much more interesting to read. The way this book all came together was nothing short of Brilliant. With a capital B. 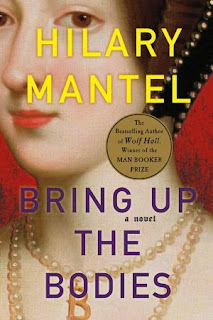 This second book in the Thomas Cromwell Trilogy, along with the first book, Wolf Hall, presents Henry VIII’s court close up and personal through the eyes of one of his key advisers, the heretofore relatively obscure Thomas Cromwell. Cromwell wielded enormous power, but sort of lurked around the shadowy edges of history so that not much is known about him. Mantel reconstructs this elusive figure based on extensive research, and the result is simply astounding. Both books have won the Mann Booker Prize (in 2009 and 2012). Cromwell is usually considered rather villainous, since his job was to smooth the way for Henry's narcissistic, mercurial impulses to materialize. Yet according to Mantel, he was no more ruthless than today’s politicians (not that this is an acceptable benchmark). I’ve seen him referred to as the Tony Soprano of King Henry’s court, and that’s a great analogy, with quills, smuggled parchments, and courtly intrigues instead of guns, phones, and stripper clubs. Historical events seem fresh, if not completely different, when viewed from his perspective — because he’s pretty good at justifying his decisions, no matter how morally murky, when the goal is tempting enough. Mantel humanizes Cromwell beautifully; she breathes life into this mysterious maestro and gifts him with both heart and soul, because apparently he did have those. In her hands, Cromwell is multi-dimensional and thoroughly relatable. He’s an enterprising, resilient man who works his way up from poor commoner to Master Secretary to the King’s Privy Council. He’s also a heartbroken husband and parent who loses his family suddenly to devastating illness. He’s a complex, brilliant strategist who brokers deals between international superpowers and leaves an indelible mark in history. And he works for an impatient manchild tyrant with a volatile temper who likes to chop heads off. How far will Cromwell go to get what he wants? What former enemy will he collude with, who will he betray, what principles will he forsake, and how many weaselly words can one man bend logic around to justify himself? Cromwell’s story is fascinating. Its telling is a work of art. For me, this is a Master’s Portrait of The Court. It’s not an easy read, it requires careful concentration. Previous familiarity with the characters (from reading and watching historical dramas over the years) helped me a lot, particularly in the first book. I also recommend the BBC TV series Wolf Hall, based on the first two books of the trilogy, whether you read the books or not. (If you plan to read them, I recommend reading first, then watching.) Mantel is currently working on the final book, The Mirror and the Light, with no release date announced yet. As for the rest of my favorite 2015 reads, multiple Wenches have already reviewed and raved about them, so I’ll endeavor not to get carried away with my commentary. But I can’t make any promises because they were all really, really good! The most challenging accomplishment from my TBR list was reading books 3–5 in the A Song of Ice and Fire series by George RR Martin. 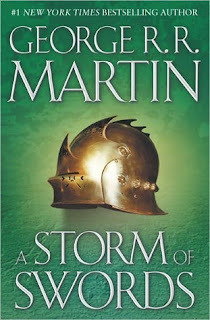 I’ve been a huge fan of the Game of Thrones TV series since it began, but I’d been reluctant to tackle all the books. Even though I’d loved the first two books when I read them. This year I finally took the plunge, and discovered that these books are a lot more intimidating when viewed from the outside, sitting on my bookshelf judging me for my cowardice, than when viewed from the inside, with my nose buried in them and my eyes riveted to the story. Yes, they were loooooong. But I never felt bored or restless or impatient. (Well, maybe a little impatient about a couple of storylines. Like Sam Tarl-*snoooooooze*.) The differences with the show were not as hard to keep track of as I’d feared. I enjoyed the deeper character development in the books, and the additional storylines and characters that haven’t appeared (yet?) in the show. I’m grateful that Wench Angela steered me to an online reading order listing for the chapters in books 4 and 5, so I could read all storylines chronologically, and I highly recommend that strategy. But it sounds like there’s no reason to rush, because the publication date for book 6, The Winds of Winter, has now been delayed, most likely until 2017. 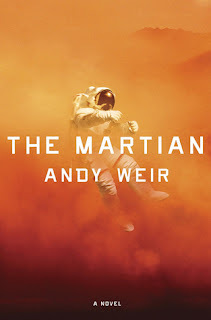 This story about an astronaut stranded alone on Mars was the most fun book I read all year (see Wench Anne’s review here)! I read it on vacation with family, and I laughed out loud so often that everyone was ready to kick me out of the house. I just couldn’t help myself, I had to keep telling everyone how great it was! And then I had to drag my husband to the movie on opening weekend. (Trust me, that’s a really big deal for both of us.) And I’m sure we’ll watch the DVD over and over when it releases. It’s just such a great story and engaging main character — lots of tension and thrills and humor, humor, humor! I love that this book makes science cool. Who knows how many future innovators and astronauts this book might inspire? I also love its upbeat tempo and positive vibe. 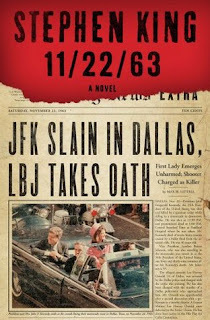 This book evokes the Zeitgeist of hope and purpose that unified Americans during the 1960s after President Kennedy challenged the country to land a man on the moon. Many shared a deep sense of pride and accomplishment that superseded their political, religious, and social differences. (And some holdouts still share the belief that it was all staged in the Nevada desert, bless their hearts.) This book postulates that people always pull together to help each other resolve crises, which is an inspirational theme that can’t be repeated too often or too eloquently. And I doubt it can be repeated in a more entertaining way than The Martian! This murder mystery/psychological thriller was the most outrageous, jaw droppingly over-the-top insane book I read all year! Intricately plotted layers of brilliant cray cray. I saw the movie first, and was so blown away that I had to finally break down and see what all the fuss over the book was about, and I’m so glad I did! Because it just didn’t sound like something I’d enjoy — a couple of selfish urban yuppies stop taking their meds and treat each other badly — but boy was I ever wrong! There’s audacious and there’s crazy and there’s twistedly scheming, but I’d never met a personification of the whole package like Amazing Amy and her batshit, looooooney tunes family. I love that this book kept taking me places I never expected, that every time I began to feel like I had things figured out the bottom fell out again. I love that no matter how deviously one character plotted, another was already several cars ahead on the crazy train. And that train was speeding full throttle toward a sheer cliff, but I couldn’t turn away because it was so spectacularly addictive. 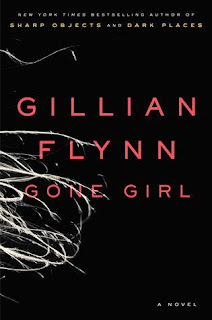 Then I immediately picked up Dark Places, the previous book by Gillian Flynn, and enjoyed it just as much. She is a pure genius at devising dark, convoluted, compelling characters that just don’t quit and we just can’t stop reading. Again, I love that this book went places I didn’t see coming. I love how King grounds the woo-woo in a world so homey and familiar, it wraps its tentacles arms around you like your grandmother’s hug and then morphs into something very different. Some readers say the story drags in the middle, but I enjoyed the opportunity to wallow in nostalgic reminiscing of times and places gone by and hanging out with the colorful residents. So many reminded me of places I used to go and folks I used to know way back when. King is a master storyteller, and his characters always feel so completely real to me, multi-dimensional, colorful, singular, and memorable. This book is a terrific opportunity for those of you who don’t like horror (and those who do) to enjoy his fabulous talents without having the bejeebers scared out of you. It will make you think, though. 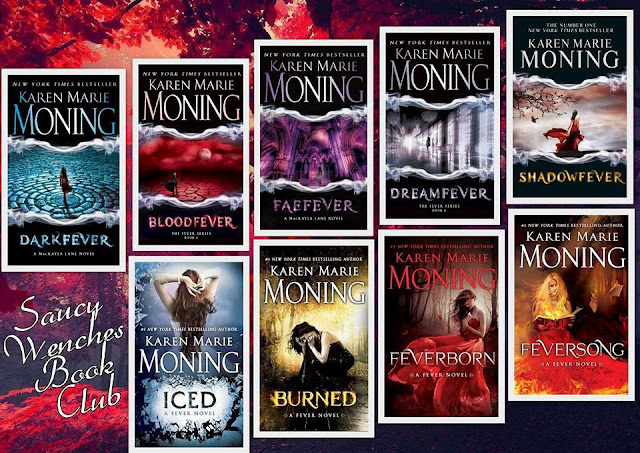 And finally we come to my other favorite world, Karen Moning’s epic Fever series, in which mortals and immortals join forces to save Dublin and the rest of the world from the rapacious appetites of the ancient Fae race. In which evil assumes many forms and faces (or lack thereof), and has infinite patience. Beauty masks bottomless emptiness, and desire becomes addiction to slaking unquenchable thirst. Hope is your only weapon against Fear, and Love That Burns Pure just might redeem the whole world. In this series, I lose all sense of time, along with Mac and Christian and myriad others who wander the numberless passages within the enchanted Silvers. There were some huge developments in this book, and we finally got Mac’s POV again — hooray!! KMM also left us hanging, desperate to know what fate awaits Christian, the sidhe-seers, The Nine, and the Seelie and Unseelie Courts. 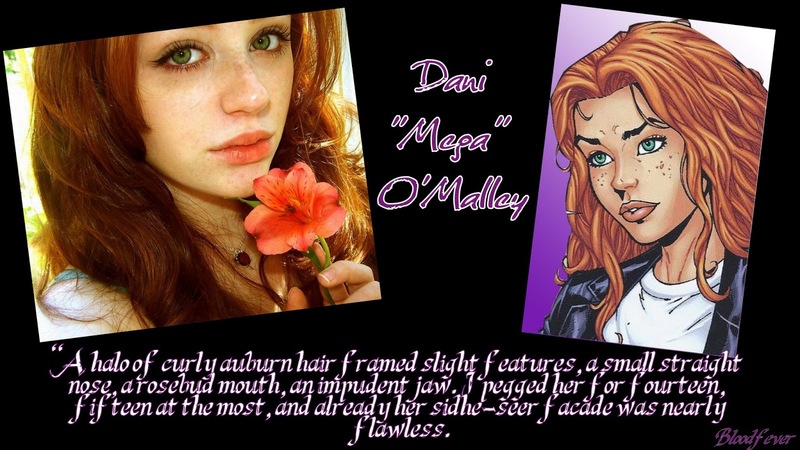 I’ve waited a long time to see Dani as a full-fledged grownup, I seriously need to know who the feck Dancer is, and OMG I am incredibly excited about Jada! One of the things I’m doing in my current series reread is looking for clues I missed and details and insights that might foreshadow what’s to come. Because the suspense is killing me! I’m still not sure where this series is going, so it’s hard to know how highly to rate this book yet. (See Wench Zee’s review here and her very spoilery post-read discussion with Head Wench Barb here.) Moning is such a masterful world builder, who continually reveals and backfills new layers and puzzle pieces so seamlessly they must have always belonged there, and you never realize what it all means until the end! At least that’s how I felt about the earlier four books when I finished reading Shadowfever — wow, there was sooooo much more going on than I’d ever imagined — and therefore I’m withholding judgment on this story arc until I’ve read Feverborn, due out this month!! But I am enjoying this remarkable journey immensely, so any Fever book is going to be one of my favorite reads of the year. I’ve never been so emotionally invested in a fictional world before, or so anxious to see where it all ends up for these characters who are very dear to my heart. 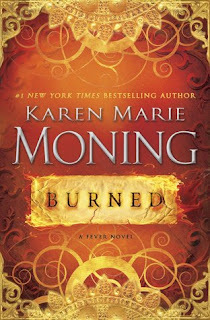 This is one of those series I want need to go on forever, as immortal as its characters and their timeless struggles. I seem to have used master (and stunning and brilliant) a lot. Just calling ’em like I see ’em. These books were all exceptional reads for me and their authors are true masters of the literary craft. These were my favorite reads of 2015, Saucy Readers! What were yours? 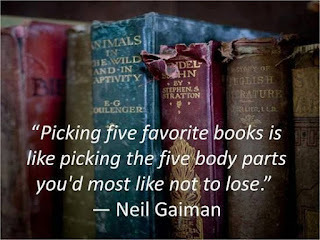 Kathi I adore your list of favourite books over the last year. I'm going to bump Wolf Hall up my TBR as I couldn't get into it when I first tried it, but this is encouraging me to give it another go! So glad you read such a diverse range of books over the year and that your enjoyed the challenge. 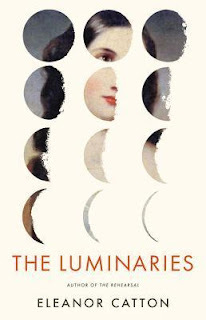 The Luminaries is such a standout book. I'm still so overjoyed that you read it!